View Palm Springs real estate listings, read informative guides, find out your home's value, and more! Welcome to my website and guide to Palm Springs real estate. On this site, you can find the information you'll need to make buying or selling your home in the Palm Springs area easier. Each listing you have access to features high-quality photos and every piece of important info that you'll need to find your dream home. Visit my main Coachella Valley search page to find every home on the market, with options to narrow down your search to a specific property type. You can also read an abundance of information about the homes styles, real estate markets, and amenities of Palm Springs and every other part of the valley. 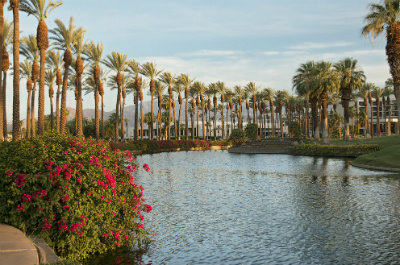 Find out what it's like to live in a beautiful community such as Cathedral City, Palm Desert, Rancho Mirage, or even Bermuda Dunes, just to name a few. You can also read guides on virtually every neighborhood in Palm Springs and read up about me, your local Palm Springs Realtor. If you'd rather have me do the home searching for you, just sign up for the free home finder service to have homes that meet your customized needs emailed to you. Similar to how you'd narrow your search results by price range or property type or square footage when you're looking for your ideal listings, you can do the same when filling out the home finder form. The best part is that I’ll send you alerts about homes that meet your criteria as soon as they become available! This way you'll get a head start on other buyers. Are you looking to sell instead? Then start by finding out how much your home is worth. Just enter your home's details into our home evaluation system and I’ll send you a free home evaluation so you know can get started on your home sale. If you need additional help selling your home, contact me and I’ll be happy to assist you. Whether you're a first-time homebuyer looking for an affordable apartment, a retiree looking for a luxury home, or you have a growing family, I'm dedicated to putting my experience and local knowledge to work for you. Through every stage of your real estate transaction, from start to finish, as a licensed REALTOR® I have the skills and experience to offer you a seamless transition. I'm one of the most respected agents for buying and selling Palm Springs real estate and I have a reputation for delivering the best in customer service and professionalism. Why? Because you deserve no less. Start your search for Palm Springs homes for sale with me, Geoffrey Moore. You'll be able to search by map or explore Palm Springs real estate listings by neighborhood.